BlackBerry sues Typo again over Typo 2 | BlackBerry Blast! Typo, the keyboard company backed by Ryan Seacrest isn't having much luck. The company was sued by BlackBerry over its original iPhone keyboard, and BlackBerry won an injunction against sales of Typo's keyboard. Typo went back to the drawing board and made a few changes to their keyboard. According to The Hollywood Reporter, BlackBerry has sued Typo again, claiming Typo's second generation keyboard still infringes on BlackBerry patents. Typo has yet to respond, but it sure looks like it will be an uphill battle for the company. BlackBerry has a load of patents, and Typo's keyboard does look like a BB knock-off. 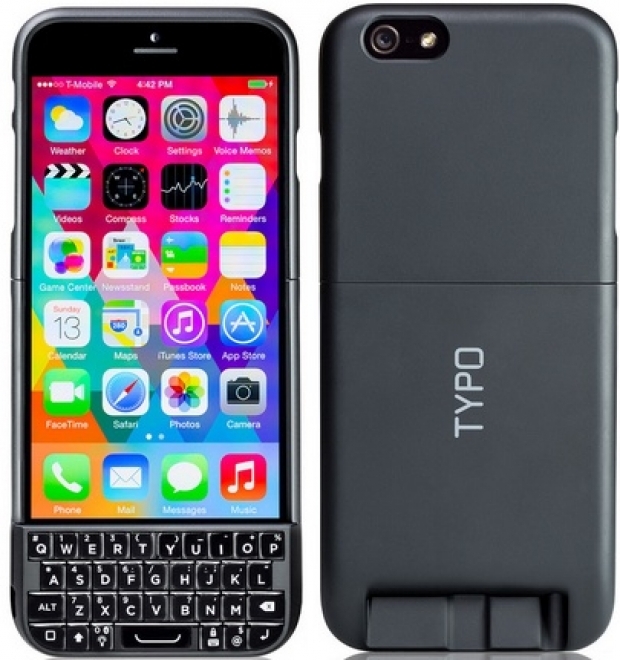 BlackBerry has two suits against Typo now and they have appear to have the momentum in the case.